Bijou homes and apartments seem to be all the rage at the moment with people embracing cosy living in commuter friendly locations. 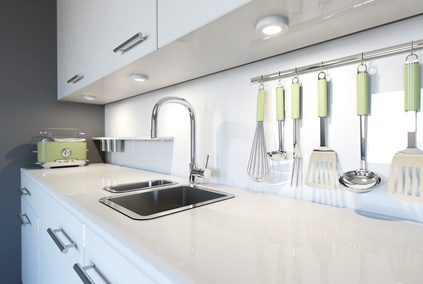 The great news is that compact kitchens need not lose out on mod cons and storage space. All it takes is some clever kitchen design work and a handful of intelligent innovations, of which there are now, thankfully, a growing variety. Here are a few of our favourites. 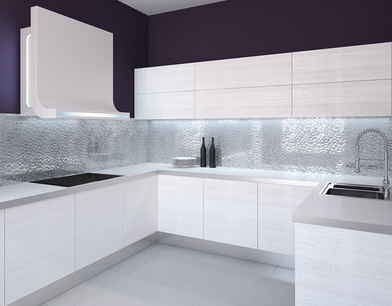 Splashbacks – the New Star of the Show in Kitchen Design! 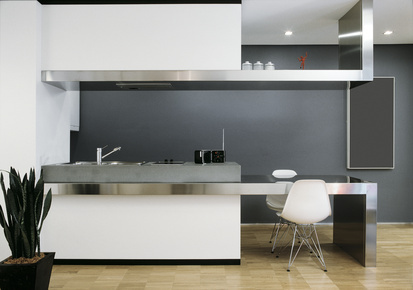 White and grey kitchens are bang on trend for 2014. But even the most dedicated interior designer will tell you that wall-to-wall white or grey will become tiresome after a while. You may love the ordered cleanliness during the honeymoon period, but after a while you’ll start to hanker after a bit of zing. Having the biggest kitchen possible will make the busiest room in your house more workable and more social, so if you’re contemplating a kitchen renovation and have the space available, don’t stop at just new units and appliances. 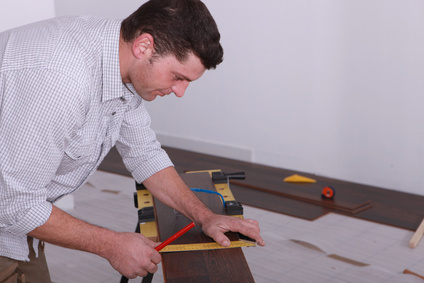 Think about extending the heart of your home too! 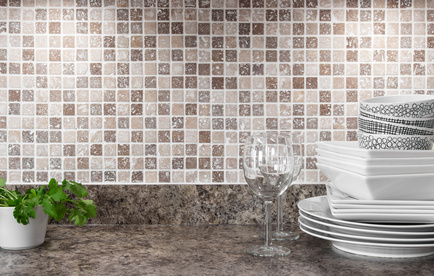 One of the most exciting aspects of buying a new home is choosing the fixtures and fittings. 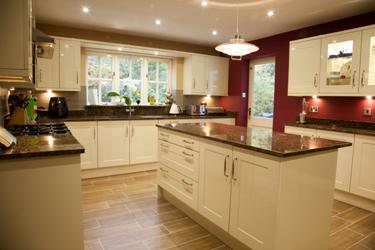 However, when it comes to the kitchen, if you’re after a whole new look it can also be daunting. That’s where a design appointment comes into its own! In this day and age of interior decor fashion dictating that rooms be opened up, a galley kitchen may seem like the last no-no of interior design. Sometimes, however, opening up your kitchen space just isn’t practical for whatever reason. If this means that the space you’re left with is a long, narrow, slightly unpractical kitchen, fear not, as there are plenty of clever kitchen design ideas that will make the space a warm, welcoming room and a workable area, too. Kitchens have to work harder than ever nowadays. From the traditional food preparation space, to a family hangout and even, occasionally, enjoying dedicated areas for creativity and study, kitchens are many different things to different people. There’s a reason songs have been written about finding people in kitchens at parties! No matter how spacious a dining room, or how comfortable a living room, people will always congregate in the kitchen at a party, which is why your kitchen design is so important. If you entertain regularly, certain specialist aspects can be incorporated within a bespoke kitchen to make entertaining not only easier, but fun. 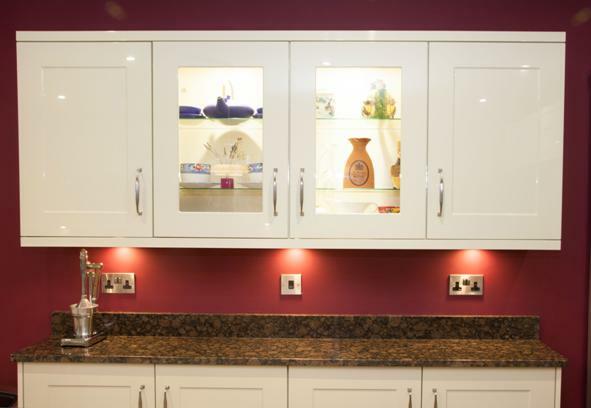 There’s more to kitchen design than choosing modern colour schemes, elegant worktops and contemporary appliances. Whilst choosing these aspects is certainly fun, it’s also important to get the basics right. Choosing kitchen units that work in harmony with your home, and suit your lifestyle needs, will stand you in good stead in the future. With so much emphasis on the kitchen being the heart of the home and the new technology that now engulfs all of family life, kitchen design has changed to accommodate these new uses. 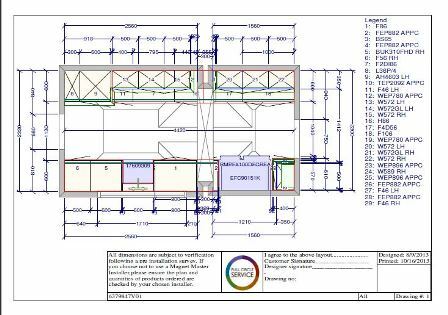 Here’s how we plan to incorporate all the latest gadgets into a new kitchen. Modern kitchens are a must for most families but that’s not to say you have to sacrifice the charm of a character home by installing one. With some careful planning and design, a modern kitchen can be installed sympathetically into a period property adding to its overall charm and increasing the usability of the room. Fiona Bailey is no stranger to renovating properties, so she had a very good idea of what to look for when taking on a builder to design and install a classically styled kitchen, a bathroom and a shower room in her Rowtown home. She chose Aspire, and here’s what we did – complete with a stunning image gallery. 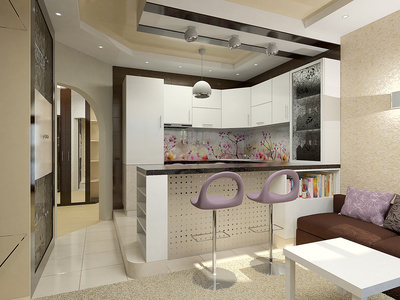 Kitchens, like all interiors and rooms in the house, are subject to changing tastes and fashions. They can age gracefully, or terribly too if we’re honest, which is why many people go for a safer option when designing a new kitchen. 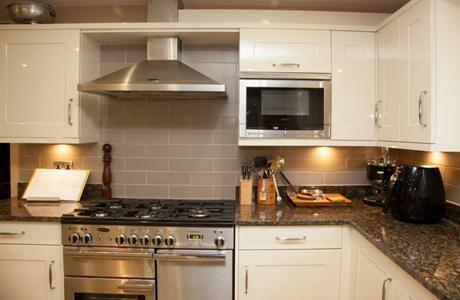 Who wants to spend a fortune on a kitchen that looks great one month but badly dated the next? We certainly wouldn’t recommend any of our clients do that. One trend we’re loving, and we’re certain will stand the test of time, is the current popularity of grey kitchens. Herita needed inspiration and direction with her kitchen refurbishment so she asked us to guide her step by step through the project. 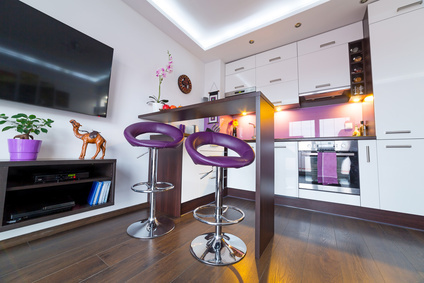 We started by accompanying her to select her kitchen units and worktops, providing advice on practicality, durability and innovative ways to get the most out of the available space. 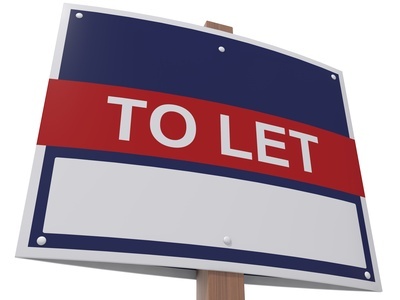 Derek Cleveland’s Richmond Hill flat was undergoing a full refurbishment in preparation for renting out to tenants. 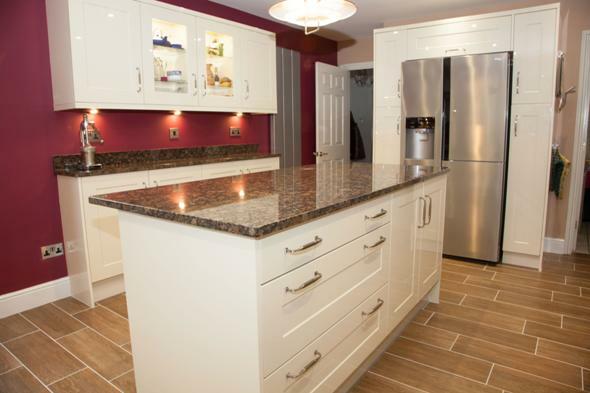 We were asked to handle the entire project, which included the fitting of a new kitchen.